Zoysia may lose its deep green color for many reasons. Most of these reasons can easily be fixed without much hassle. There is no need to be alarmed by the brownish color during the winter months though because of the normal dormancy stage. 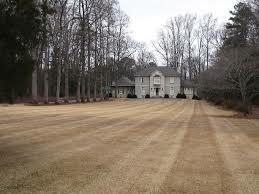 Dormancy- Zoysia does enter the dormant stage (turn brown) after you receive the first hard frost of the year. This process is normal, and it allows the Zoysia to protect itself during the extreme cold conditions to later achieve its nice green color in the spring. Like deciduous trees and many shrubs, this is natural for all plants. 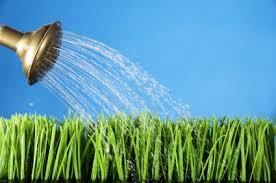 Over-watering– Being drought-resistant is one of the many benefits of a Zoysia lawn. 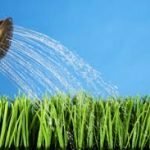 Experiencing heavy rain or having a watering system in low areas like the bottoms of hills can cause the grass to turn a yellowish-green color. Watering shady areas can have the same effect. To grow successfully, Zoysia must receive at least 2-3 hours of direct sunlight a day. 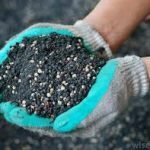 Fungus– Sometimes, there may be a fungus in your lawn. You may not notice it at first until you see the Zoysia turn white, yellow, or a brownish red in some spots. If you notice this, you should take a sample of your grass to a local nursery and have it tested. If you find that you do have a fungus, you can use a fungicide. Here is one we supply: http://www1.zoysiafarms.com/prodspec.jsp?id=16F7&cat=30. This product will eliminate the fungus for you and is Zoysia-safe as well. 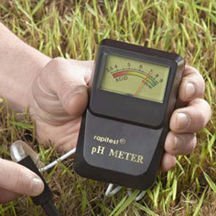 Incorrect pH– If you notice that your Zoysia is growing well in some areas but not others, this can be caused by the fluctuation in pH. Zoysia thrives whenever the pH is between 6 and 7, and the pH can be different throughout your lawn especially near trees. This can be solved by applying lime if the pH is below 6, or by adding sulfur if the pH is above 7. Using Granular Products or Other Unsafe Products for Zoysia- Granular products should never be used on established Zoysia. 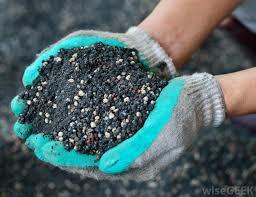 The granules tend to sit on the leaves of the Zoysia and cause them to burn. 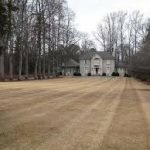 Sometimes, certain fertilizers and weed killers contain harsh products that can kill off the Zoysia as well causing it to brown out. This can be solved by checking all of your products before applying them onto Zoysia. If you are unsure if your product is Zoysia-safe, you should contact the manufacturer of the product or just test out a small area in your lawn. 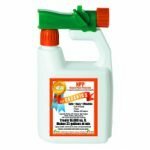 Many lawn-care companies are not familiar with Zoysia and may not use Zoysia-safe products. Overall, Zoysia may change color for a number of reasons. Most of the problems have an easy solution or time will correct the issues. If an area of your lawn was accidentally damaged, the Zoysia may repair itself because of the spreading nature it has.